This children’s stool oozes designer style and is safe and functional. What more could you want? 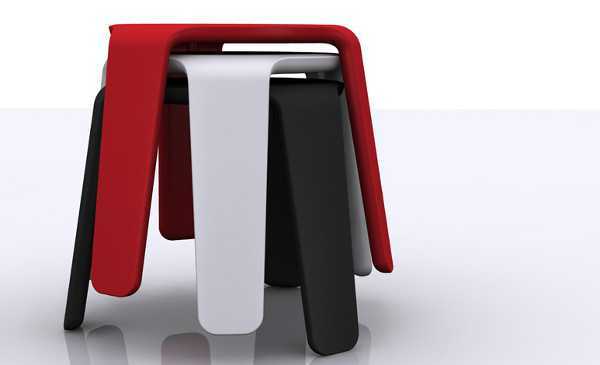 This fabulous stool is modelled on an award winning design, the Launch Stool. So this is technically the little brother – the Launch Junior Stool. The original Australian-designed Launch Stool by Ben McCarthy for Go Home has been highly recognised for its ingenuity and beauty. The Launch Junior Stool is single piece construction, so there are no sharp edges. The stools are stackable (very much like the adult version stack, pictured above), UV resistant (so can be used outdoors), have non-slip, non-marking feet and are recyclable. 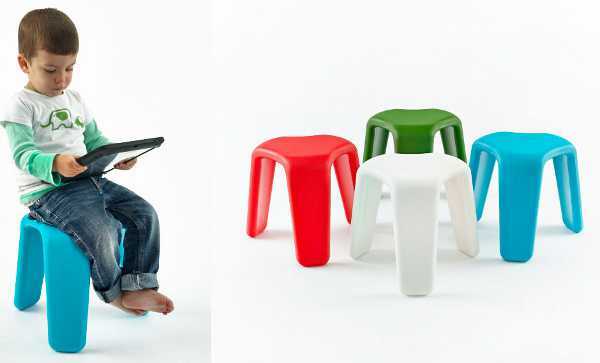 The stools are thirty centimetres high and are available from Urban Baby for $99 each, in four different colours.